Are you looking for postal jobs? 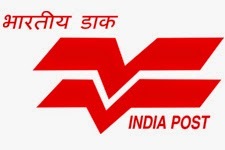 India Post has issued an official notification for the recruitment of postal assistant in two postal circle in 2015.Read out further for more details about India Post recruitment in 2015. Education Qualification :Candidates must have passed Matriculation from any recognized board. Age : Candidates must be aged between 18 to 27 years as on 19/01/2015. .The upper age limit is also relaxable for SC/ST candidates/Ex-servicemen and other eligible categories as per rules. Application fees : Candidates belonging to general and obc male are required to pay Rs/. 500. (SC/ST, Women, Ex-servicemen and Physically Challenged persons are exempted from Application Processing Fee). How to apply : Eligible candidates have to applied through OFFLINE with specific application format provided by the official website. Last date of submission of application form : 11th February 2015. Education Qualification : Candidates must have passed 12th from any recognized board. Last date of submission of application form : 19th January 2015. 0 comments for " India Post Postal Circles Recruitment 2015 for various posts "